Staying at Coffee Creek RV long-term and it is perfect. The bathroom and shower facilities are the absolute best of any RV park where we've stayed. 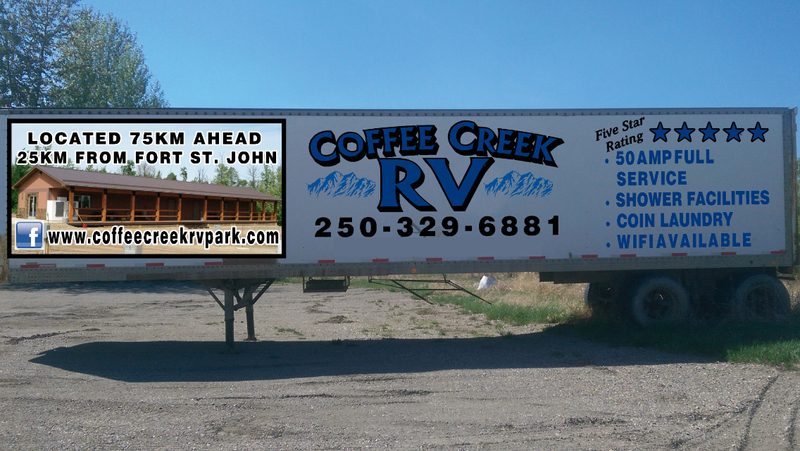 Coffee Creek RV Park was opened in December of 2014. Since then we have had countless happy customers from RVers and campers traveling to Alaska or British Columbia to local workers. Our campground has services available such as: Wi-Fi, 50 AMP Full Service, Shower Facilities, Coin Laundry and Long Term Camping.